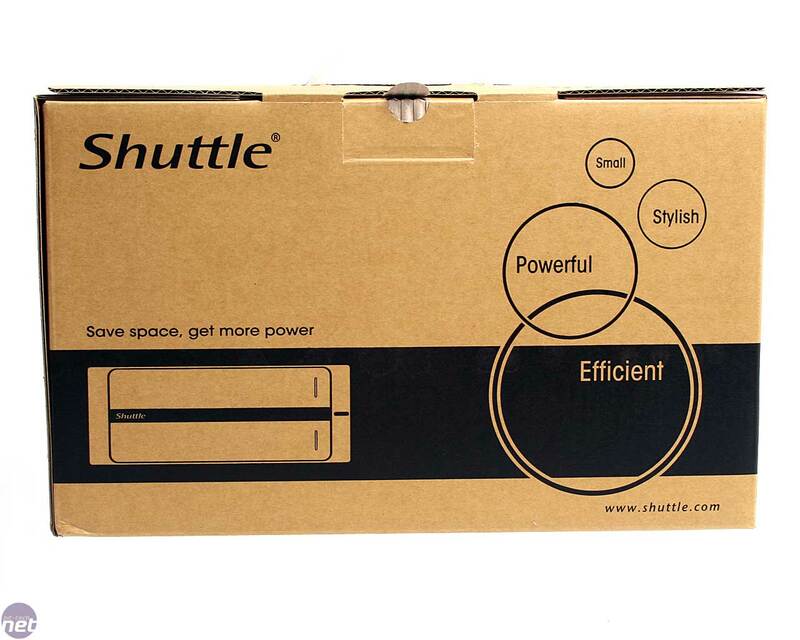 Another year and leading SFF manufacturer Shuttle seems to continually exist in the background, yet has stepped away from its usual XPC line to devise a smart design using the latest tech. 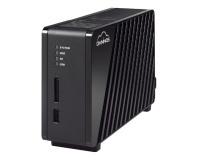 Surprisingly using the even smaller mini-ITX form factor, the X27-D is based on Intel's Atom 330 dual-core processor. 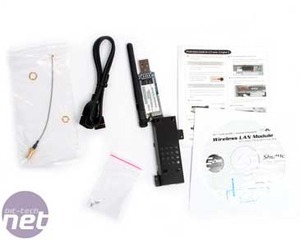 This is basically two 1.6GHz Atom dies strapped to the same package and inside the case features the mini-ITX motherboard and 60W DC-DC PSU. 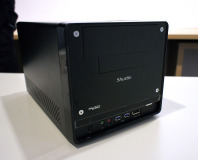 We know from previous experience that Atom's performance is basic at best, so we don't expect the world out of this little box - it's simply a competitor to the Asus EeeBox and other small, low power desktop parts. 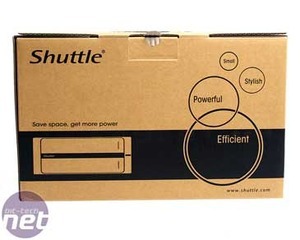 However Shuttle has one thing in its favour for us: it's customisable. 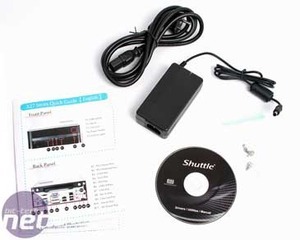 At a shade over £200, it's quite cheap and instead of being bundled with limited memory, no optical drive and no upgrade potential - Shuttle allows some leverage to play, making this a very tempting little black box. This leaves one inevitable question left to answer then: is it any good to use? Inside an unassuming cardboard box is a well packed X27-D between two large pieces of foam, with a Seasonic branded 60W power brick on one side and the power cable on the other. 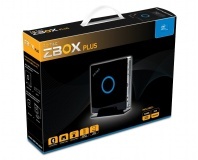 There's also a quick install guide, driver disc and a few thumbscrews for the top as well. 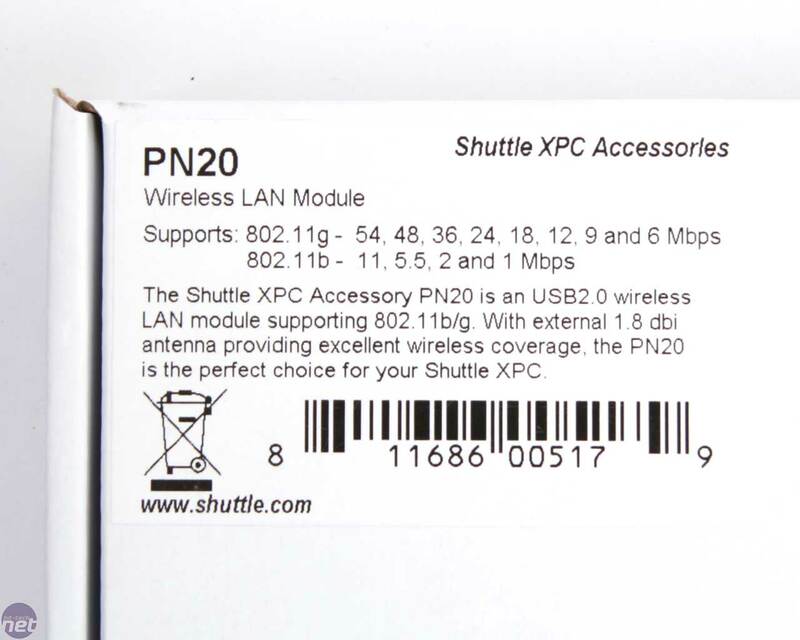 There was also another package that was sent as part of the review bundle, Shuttle's PN20 wireless networking dongle. 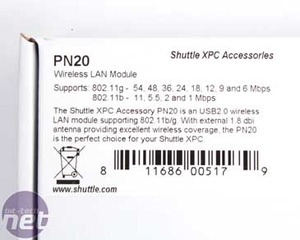 However, at £43.24 the PN20 seriously expensive for just a 802.11b/g wireless USB module - for that money, we'd hope to see 802.11n support at the very least, especially when you can pick up an almost identical Netgear one for £15! However, this is the perfect complement for a Shuttle because it comes with a USB female to USB-pin out adapter to plug it into an internal port on the motherboard, a plastic holder so it can be mounted internally in an XPC and an extra antenna adapter too. 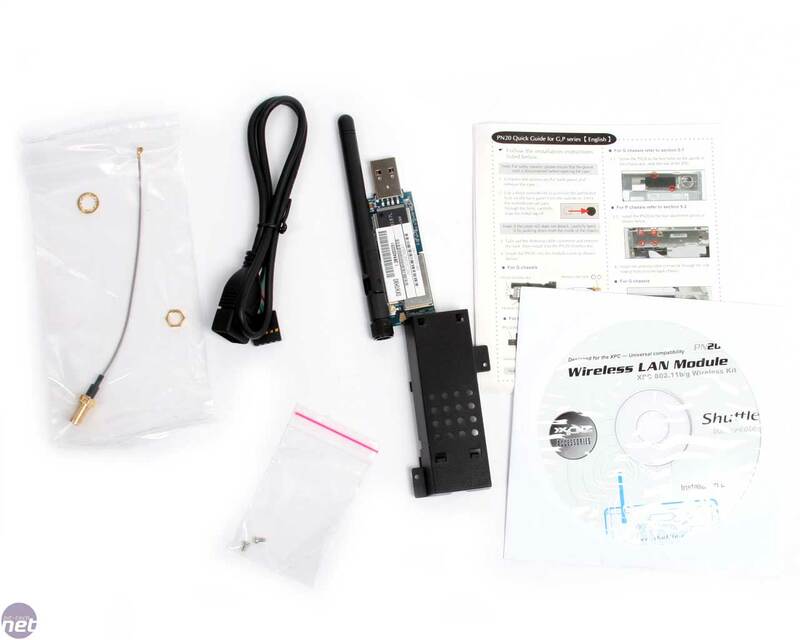 These things are hard to find on their own, especially the little antenna. But this isn't an XPC though and a little modding doesn't hurt - there's plenty of space to upgrade the X27-D to make it fit flush.